A few weeks ago I mentioned in passing to my eldest how i'd like to go see the Lego Batman Movie and would she like to go with me. Then kind of forgot about it until I came in from working outside on Friday and she was systematically watching anything Lego or Batman related on the box that she was allowed to watch. Needless to say she was very excited about going to the cinema, so much so that there was no way I could leave her younger sister behind! So the three of us went on Sunday afternoon, unfortunately our local town wasn't showing it so we had to head off to a small city near us (just a big town really). They didn't stop talking the whole way there, I had to play eye-spy and count the car colours, as well as some other games we invented, to keep them entertained. When we got there I was quite surprised at how much it cost for the three of us to buy tickets (shows how often I go) but the man did let the girls have a little pot of pick and mix each for free, which really made their day. The funniest bit was when we were walking to find our seats, I opened the door to our screen and the loud noise of the adverts came straight at us. "I don't want to go in!" "This has cost the best part of 30 quid, you're going in!" But I knelt down by her to let her take her time and she was soon brave enough to walk in there. She sat on my knee through the whole film and would whisper questions in my ear. My eldest just sat there with a huge grin on her face, telling me how much she loved it if I asked how she was. They were both as good as gold through the whole thing, sat still and enjoyed the whole film. The film itself was really funny, I'd say not quite as good as the first Lego movie but still really entertaining. A good first film for the girls to have gone and seen. I'm not sure what the first film I saw at the cinema was but the first one I can really remember was going to see Robin Hood Prince of Thieves, which I became a little obsessed with, later worn out the VHS and can still recount the film word for word to this day - a weird skill with not many real life applications! It was at the old Tenbury Regal cinema, a beautiful art-deco building full of character. I remember some teenagers trying to push in line whilst we were waiting and dad being the only one in the whole queue to tell them to go to the back, when he did everyone cheered! So I was wondering, what was your first film you saw or can remember seeing at the cinema? Or what was the first film you took your children to see (if you have any)? First for me The Seven Little Foys, Bob Hope. First for my daughter Disney Cinderella. She loved it as long as the candy was flowing! First one for me was How Green was my Valley with Maureen O'Hara. Mary Poppins at the drive-in, for me. Finding Nemo for my oldest. He was little, but hung in there through the entire thing. My Fair Lady at the Cinema in Uppingham think was four or five. It was an evening trip with my mum and one of her friends. Me, Bambi, my daughter Watership Down. Don't go to the cinema any more it's become far too expensive, especially if like you it's with a couple of kids, plus all the extras like popcorn and so on. So I just wait till it comes on the telly a few years later! Glad you all had a good time. Not my first film, but when I saw Jaws it stayed in my mind. Huge queues and the special effects were amazing. First time for me was Who Framed Roger Rabbit, still enjoy that film to this day with my girls also enjoying it on DVD. 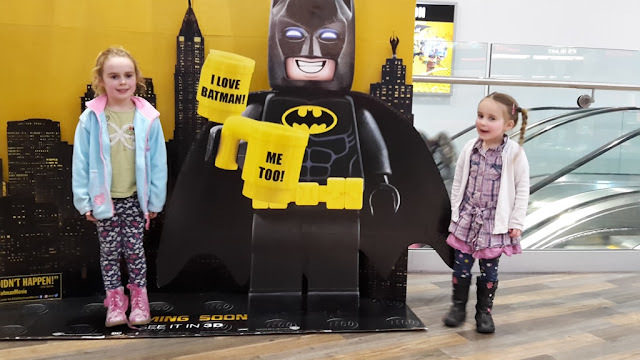 I took Jacob to the cinema for the first time to see Lego Batman, he loved it too!! The lady upgraded our to premier seats as it was his first time. I don't remember the first film I saw but I remember the half time break they used to do.